Sanofi and Alnylam have agreed to conclude the research and option phase of their 2014 RNAi therapeutics alliance for developing drugs for rare genetic diseases. The $700 million alliance gives Genzyme/Sanofi a 12% share of Alnylam, and access to its drug candidates. The company can opt in to rare genetic disease programmes for commercialisation in territories outside the United States, Canada, and Western Europe, and has one right to a global licence. Last year the companies restructured the alliance, with Alnylam taking back global rights to develop and commercialise products for the treatment of ATTR amyloidosis, including patisiran and an earlier pipeline drug, ALN-TTRsc02. Meanwhile Sanofi gained global rights to develop and commercialise fitusiran, an investigational RNAi therapeutic for the treatment of haemophilia and, potentially, other rare bleeding disorders. As part of this agreement, Alnylam will advance an additional investigational asset in an undisclosed rare genetic disease through the end of IND-enabling studies. Sanofi will be responsible for any potential further development or commercialisation of such asset. 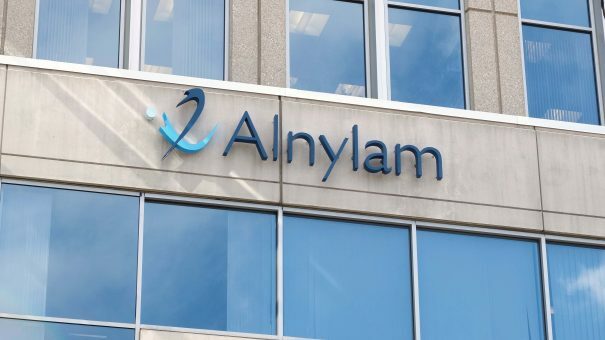 If this product is approved, Alnylam will be eligible to receive tiered double-digit royalties on its global net sales. Later in the year Sanofi opted out of a co-development and co-marketing deal for one of the potential therapies – lumasiran, for Primary Hyperoxaluria Type 1 (PH1). The decision was likely down to doubts about the drug’s long-term market potential. Despite this, Alnylam announced it would rapidly advance lumasiran into a phase 3 pivotal study and commercialise it globally. The two companies said that today’s announcement does not affect the material collaboration terms for patisiran, vutrisiran (ALN-TTRsc02) and fitusiran. Alnylam and Sanofi also announced that they have agreed to amend certain terms of the companies’ equity agreement, with Sanofi obtaining a release of its lock-up of Alnylam stock holdings, subject to certain trading restrictions, amongst other provisions. Alnylam’s Onpattro (patisiran) became the first RNAi drug approved by the FDA last year, for the nerve damage caused by the rare disease hereditary transthyretin-mediated amyloidosis (hATTR) in adults. But the drug saw a setback in the UK when it was rejected by NICE on cost effectiveness grounds.